I used to believe that huckleberries (Vaccinium spp.) were something that only grew north of my area. When I visit Montana, there is a huckleberry product on every corner - huckleberry jam, pie, bread, you name it. When I started educating myself about the local flora, I discovered that huckleberries indeed grow in my area. Not only do they grow here, but are abundant in many areas of the mountains. They are the ankle-high pale green plants that have been at my feet for nearly every hiking trip I've ever taken in my life. Last week, I headed up a mountain with my step dad, who wanted to look for porcini (Boletus edulis) mushrooms with me. We decided to start high, and work our way down. Strangely, just below timberline was a protected pocket, where the ground was holding enough good moisture for moss and small ferns, and it hadn't yet taken a hard freeze. We didn't find the porcinis we were looking for, so my eyes started to search for other forage. At our feet were a carpet of huckleberry plants. We knelt down and searched under the toothed leaves for berries. 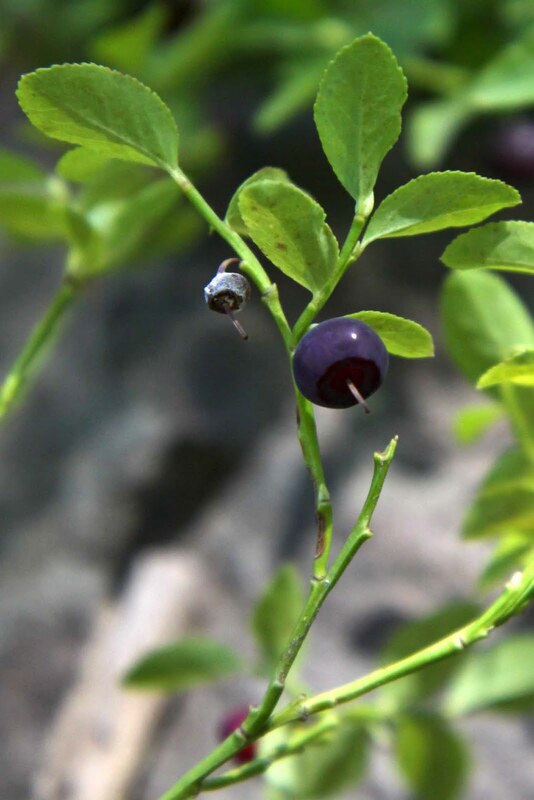 The huckleberries that grow here are tiny, smaller than pencil erasers, and are often hidden beneath leaves. If you're familiar with how wild mountain strawberries can pack 10 times more flavor into a berry smaller than the tip of your finger than a commercial berry, then you'll understand the way in which a huckleberry packs a concentrated flavor punch like intense blueberries. I've never collected enough to be more than a trail snack. 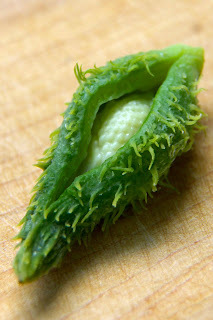 But they are one of my favorite flavors, and well-worth the labor it takes to pick them. How neat!! So Mark Twain. =) So special to be able to do that. Score! I'd love to make a huckleberry pie. Love your new sight and your new name! When I was young, huckleberries were prolific all over the area where mom grew up. These were really the only "blueberries" we knew, and we loved them. I remember my disappointment when I first tasted a store bought blueberry and it didn't have the flavor of those huckleberries that grew wild in grandma's back yard! The huckleberries are gone now, and I know I haven't seen any for 40 years. Thanks for bringing back the fond recollection! Eggy - What a great memories! I think I'll be making some fond huckleberry memories of my own in the coming years. I happened upon another little protected spot of them yesterday, and they really are sooo flavorful! I love huckleberries-my neighbor just returned from Montana and brought me some jam. I happened upon your site by lovely chance... and I really must know...how in the world did you find these??? I live in CO as well but I'm a Montana native and I had no clue I could find huckleberries here. Now that you've mentioned it I have a wild craving for them... so if you could direct me to something that shows me how to find them, I am all over it. Ps. 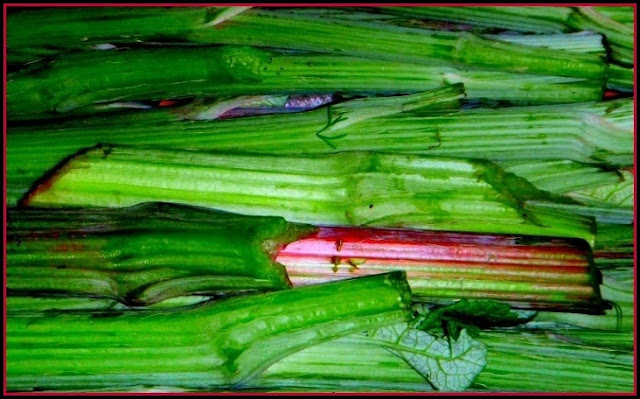 your site is highly inspiring and might possibly turn me into a forager. Dreamie - Perhaps the CO berries are smaller than in Montana? Once I knew what they looked like, I realized that they were nearly everywhere I stepped at the mid-elevations in the mtns. P.S. DO FORAGE!!!! The food is everywhere. Good food. Amazing food. The stuff of dreams. Maybe even right in your back yard. Great post! 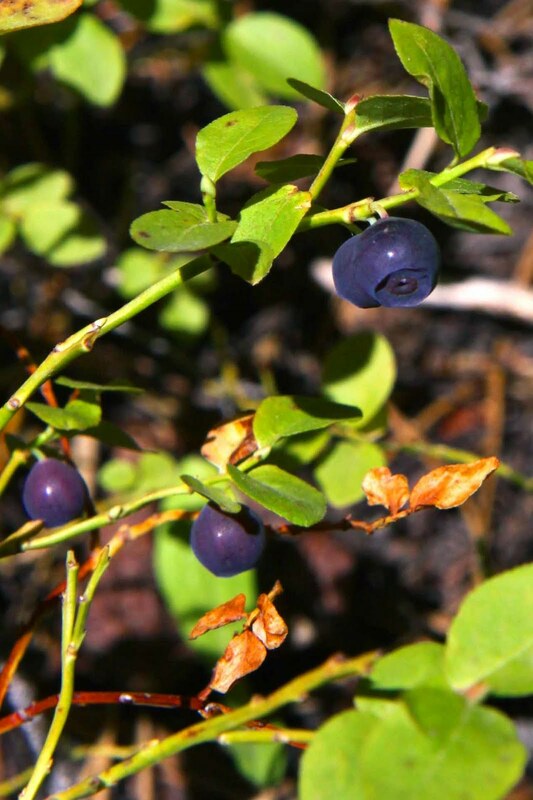 I think your huckleberry pictures are of Vaccinium myrtillus, a plant that I can wait to try myself. Thanks for posting the story and mouthwatering photos. I agree with above poster... Huckleberry grow everywhere where I live and they are waist or armpit high and the berries are as large as blueberry.